ARKYACHT unveils new trawler style. ARKYACHT is proud to introduce its new type stylish trawler. With a hull length of 24m, she is a modern trawler with stell hull and superstructure incorporating classic trawler lines. She will be offer accommodation for up to 6 guests in 1 owner and 2 guest suites. 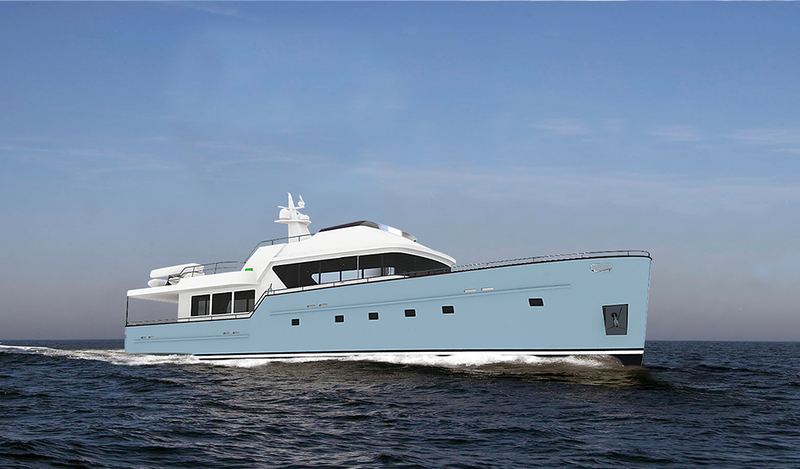 She will provide 12 knots only with 2x265HP through its well-optimized and efficient hull form. Please visit the yacht's page for more information.